The bow enthusiast's 'D.R.E.A.M.' EP is a throwback to '00s teen-pop. 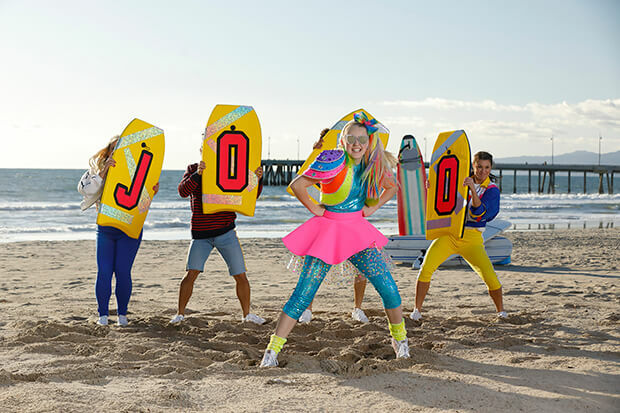 In case you missed it, JoJo Siwa dropped her second EP on Friday (April 12). Celebrate is another upbeat, kid-friendly collection of songs that evokes the fun and innocence of early ’00s teen-pop. The Dance Moms alum isn’t the world’s greatest vocalist, but that’s beside the point. She isn’t trying to sing opera, and you don’t need five octaves to belt out feel-good fare like “It’s Time To Celebrate” — a perky tune that acknowledges her upcoming 16th birthday on May 13. Other tracks include “#1U” (a cute song about loving yourself and not conforming), the unintentionally hilarious “Worldwide Party” and my favorite, the appropriately-title “Bop!” It will be interesting to see if JoJo opts for a more credible sound moving forward or keeps on churning out earworms for toddlers. If you love the teenager’s music, make sure to care her on tour. (See all the days and buy tickets here). Listen to JoJo’s Celebrate EP and check out her cute “It’s Time To Celebrate” video below. What’s your favorite song on the EP? Let us know below, or by hitting us up on Facebook and Twitter!